As the year draws to a close, looking back at the bumps in the road for Facebook over the past 11 months makes it difficult to believe that, well, it’s only been 11 months — to the point where It’s difficult to encapsulate the 2018 ups and downs experienced by Facebook in a single paragraph. The year kicked off with a major News Feed algorithm change in January to prioritize posts from users’ friends and family over those from Business Pages. By August, engagement with these Pages had dropped by up to 50%. In the spring, details emerged on the improper harvesting of private user data by a voter profiling firm — leading Facebook’s CEO Mark Zuckerberg to appear before Congress in two high-profile hearings. In November, the New York Times published a report that the company’s leadership had not only actively worked to hide these issues (instead of fixing them), but also hired a PR firm to portray Facebook’s critics in a negative light. And that’s only a selection of some of the bigger stories about Facebook from 2018. 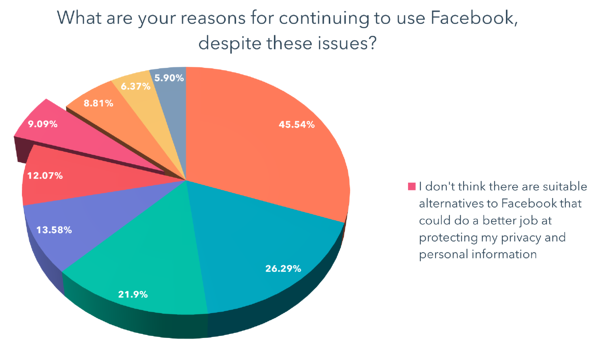 In previous instances this year, we’ve speculated that, for most users, the cost of losing the connection to friends and family provided by Facebook is too high when compared to the cost of the company’s issues. 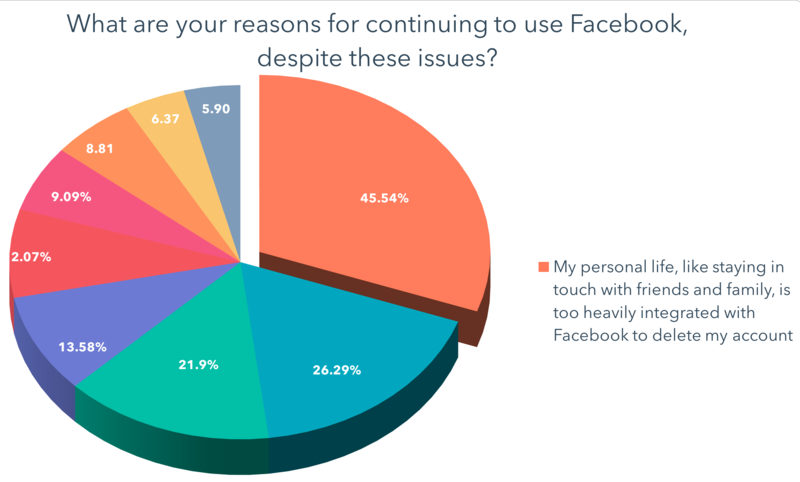 The highest number of users — about 45% — indicated that they haven’t left Facebook due to their personal lives being too intertwined with it. 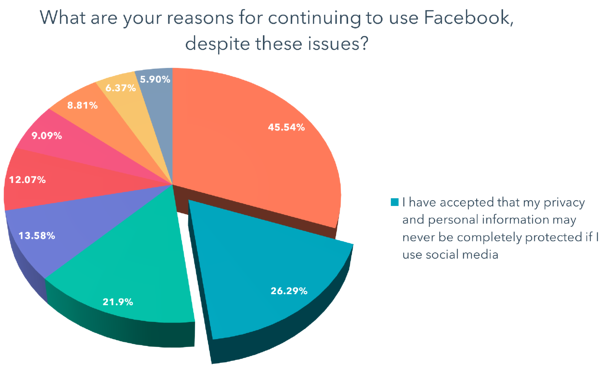 If that’s true — that social media users simply assume and acquiesce that their personal data will always be compromised as a result of using it — that impression could lend itself to other reasons respondents indicated for maintaining a presence on Facebook. 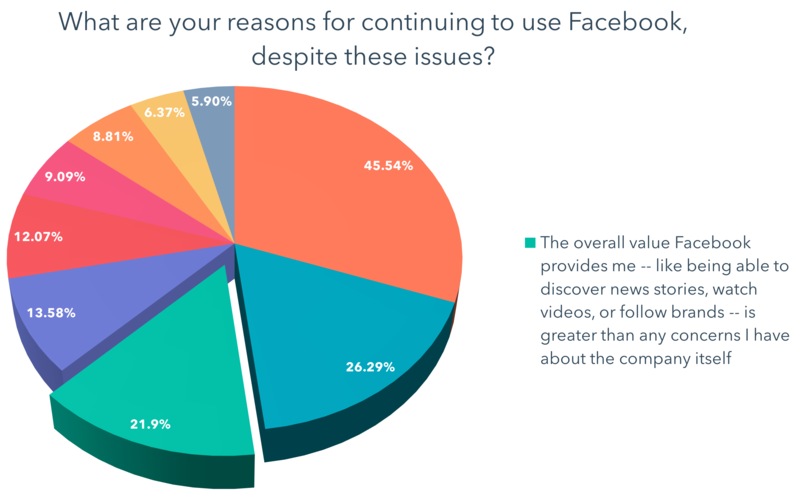 For example, the third-highest number of responses we received were from users who said that the other benefits provided by Facebook — such as getting news or discovering other new content — outweighed any problems the company might have. 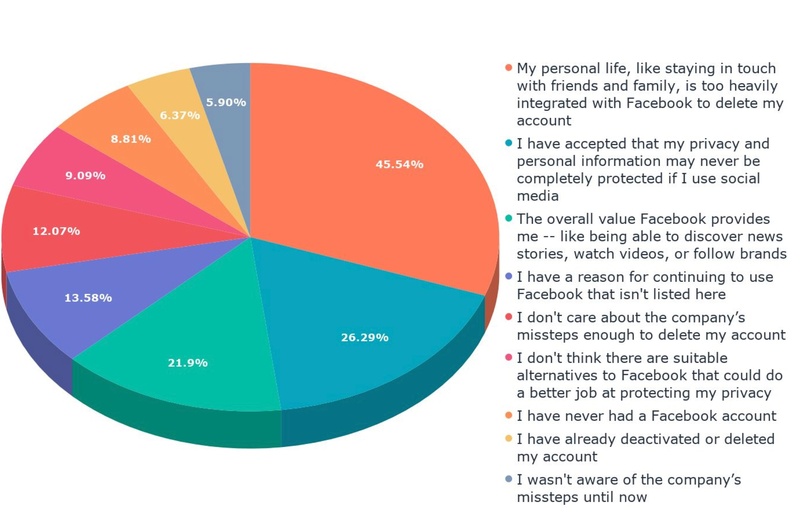 That aligns with a point made by HubSpot VP of Marketing Meghan Keaney Anderson regarding user alliance to Facebook, when we discovered that many still didn’t plan to delete their accounts upon learning of the aforementioned data breach. As 2018 draws to a close and the roller-coaster it’s provided for the tech industry at large (Facebook hasn’t been isolated in its controversy), we find ourselves looking ahead at its potential ripple effect. Although users mostly say they’re not leaving Facebook, the company’s growth has all but come to a screeching halt in some regions — namely, in the U.S. and Canada, which are its largest markets for (advertising) revenue. With new users plateauing in its most lucrative markets, some speculate that Facebook is on something of a warpath to find new revenue streams, such as introducing ads to WhatsApp: the encrypted messaging app it acquired in 2014. Instagram, too — which Facebook acquired in 2012 — is viewed by many as a social plethora of ads, and has been identified by some as something the company will heavily rely on for revenue in the near future. 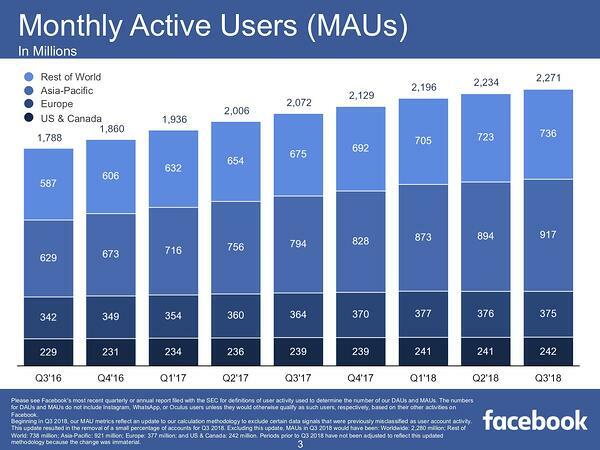 While active user growth in certain regions may have slowed, the fact that most of Facebook’s core users have yet to leave the network likely means that it’s still one of the best places for marketers to reach audiences. That hasn’t stopped other companies from building out tools and resources for businesses that are similar to those provided by Facebook. 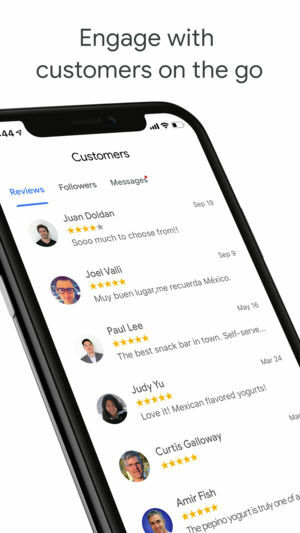 For example, Google recently introduced new features to its Google My Business app that emulates some of those provided on Facebook Business Pages, such as the ability communicate with customers via in-app messaging. But when all is said and done, Kerpen says, it could be quite some time — if ever — that business tools provided by other platforms begin to rival Facebook’s. And as we look ahead to 2019, it seems that Facebook continues to serve as a resource valued by users and businesses alike — one that, despite its issues, upholds a high barrier to being replicated or replaced.